Barrington Hinds is from West Palm Beach, Florida. He began his training at the School of Ballet Florida under the direction of Marie Hale. Barrington holds a BFA in dance from SUNY Purchase College and has also trained at the Taipei National University of the Arts during a semester abroad in Taiwan. He has worked professionally with VERB Ballets, the North West Professional Dance Project, and performed in the ensemble of the national tour of Twyla Tharp’s Broadway show, Movin’ Out, where he understudied the lead role of Tony. Hinds was also honored as a finalist for the Clive Barnes Award for young talent in dance for his performance in “Stager Lee,” a section in Stephen Petronio’s Underland. He has worked with leading choreographers including Laurie Stallings, Edgar Zendejas, Sarah Slipper, Helen Pickett, and Thaddeus Davis to name a few. Barrington was recently dancing for the Stephen Petronio Company, which he had been a member of since 2008. Currently you can find him dancing with Bill T. Jones/Arnie Zane Company, Cherylyn Lavagnino Dance and free lancing in commercial, TV, and print work. 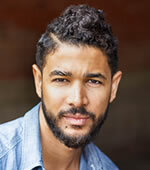 In addition to dancing, Barrington is also a choreographer and teacher. He is a faculty member at the renowned Blue Lake Fine Arts Camp in Michigan and his choreography has been presented throughout New York at Purchase College, Warwick Summer Dance Festival, Dixon Place, Arts On Site, and The Tank. Ramona Kelly is from Berkeley, CA where she began her training at Berkeley Ballet Theater. She went on to earn a BFA in dance from New York University’s Tisch School of the Arts where she performed in works by William Forsyth and Ronald K Brown. Ramona danced the principal role of ‘Betsy’ in the touring production of Twyla Tharp’s Come Fly Away. She has performed and toured extensively with Twyla Tharp Dance, Oakland Ballet, Claudia Schreier and Co, Cherylyn Lavagnino Dance, Sidra Bell, and Phantom of the Opera (25th Anniversary Tour) among others. Andrea Harvey was born in Philadelphia, PA and received her ballet training at the Allegheny Ballet Company in Altoona, PA. She spent summers training at Central Pennsylvania Youth Ballet, the Chautauqua Institute, Miami City Ballet, San Francisco Ballet, Houston Ballet, and Pacific Northwest Ballet. She earned the Barbara Weisburger award in “Excellence in Classical Ballet” in the Regional Dance Festival in 2014. In 2007 Andrea moved to Pacific Northwest Ballet to become a member of the Professional Division, dancing with the company for The Nutcracker, Swan Lake, Symphony in 3, and A Midsummer Nights Dream. Andrea became a member of Orlando Ballet’s second company in 2009, and a full company member in 2010 where she danced principal roles such as Juliet in “Romeo and Juliet” by Robert Hill, Swanhilda in “Coppelia”, Bridesmaid in “Don Quixote”, principal roles with guests choreographers such as Peter Chu, Jessica Lange, and Abdur Rabin Jackson. Since, Andrea has performed as an Exhibition Ballroom Specialist at Blackpool 2017, Millennium 2017 and was named 2nd place Nationally at the United Stated Dance Championship. Sebastian Serra Sebastian Serra was born in San Juan, Puerto Rico and began his ballet studies at the age of nine under the direction of Roberto Rodriguez. In 2001 he continued studying ballet and academics in “Escuela Especializada en Ballet Julian E. Blanco”. He went on in 2006 to join the Conservatorio de Ballet Concierto de Puerto Rico where he trained and later that year got promoted to apprentice with the company there. 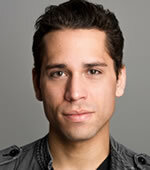 In 2008 he joins Ballet Concierto de Puerto Rico as a company member. Sebastian participated on full scholarship in different summer programs around the states including the ones at Orlando Ballet School, School of American Ballet, The Rock School, Boston Ballet and San Francisco Ballet. During his time at the Boston Summer Program he got offered a traineeship with the school where he trained and dance with the company during the 08-09 and 9-10 seasons. He joined Orlando Ballet, where he currently performs, during the 10-11 season after dancing with Festival Ballet Providence. Sebastian’s awards include an Honorable mention in Young Arts, a program of The National Foundation for Advancement in the Arts and the 1st prize in classical and contemporary in the Regionals of the Youth American Grand Prix. Most recently Sebastian was featured in the So You Think You Can Dance audition episodes during their 10 & 11 seasons on FOX.